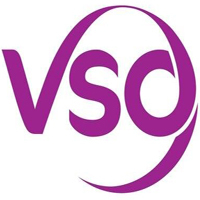 VSO is the world’s leading development organisation that works through volunteers to fight poverty. We are unique in the way we bring people together to share their skills and experience, generate insights and ideas and, most of all, take action against poverty and exclusion. It’s a highly effective approach that works, and today is helping millions of people in some of the world’s poorest communities lift themselves out of poverty. The incumbent will support the Tanzania Local Enterprise Development (TLED) Project to reach its objective of facilitating delivery of Business Development Services (BDS) to Small and Medium Enterprises (SMEs) in Mtwara Region. S/he will also take part in building capacity of the T-LED SMEs which includes selecting and making regular contacts with the SMEs, facilitating training and coaching on areas related to business development, marketing and financial management and organizing exhibition events for the SMEs among others. The project focuses on selected Value Chains related to Foreign Direct Investment (FDIs) in the areas of Oil and Gas, and gives priority to SMEs that show great potential to grow. Additional roles may include supporting day to day activities in the T-LED regional office activities as needed. A bachelor degree in business, marketing, communications, Community Development, Sociology or related subject. 2 years of work experience in a professional environment; preferably in a reputable company/organization. Report writing, monitoring and evaluation. Experience in conducting one-on-one business mentoring, facilitation and training. Commitment to team and building its capacity. Must possess strong written and spoken English and Swahili language skills. Ability to be proactive and use creativity to drive solutions and results. Excellent coordination and planning skills with experience of working under pressure. Time management skills.